Large, commercial trucks and buses must share the roadways with passenger vehicles. To protect motorists who use our highway systems, state and federal agencies have developed regulations that govern the commercial trucking industry. The federal agency with oversight for commercial vehicles is the Federal Motor Carrier Safety Administration (FMCSA), which has regulations that govern things like the hours of service that limit when truck drivers can drive and when they can rest, penalties on alcohol and drug use on the job, maintenance and repair logs for trucks ,and weight limits for the vehicles that travel on the highways. Yeboah Law Group is dedicated to representing the needs of clients seriously injured in truck accidents. If you are looking for aggressive counsel from a team of Fort Lauderdale truck accident lawyers who will fight for your right to compensation, schedule a no-obligation consultation today. Drivers who operate a commercial motor vehicle (CMV) must comply with the FMCSA’s Hours of Service (HOS) regulations. The HOS regulations were first established in 2012 and then revised in 2015. They limit property-carrying drivers to an 11-hour driving limit after 10 consecutive hours off duty. There are mandated rest breaks and a 60/70 hour and 7/8 consecutive work day limit, which must be followed by 34 or more consecutive hours off duty. 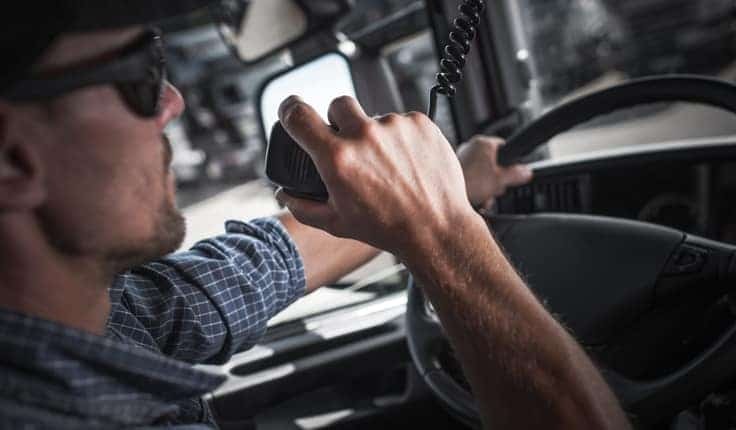 These rules were established in an attempt to curb the problem of truck driver fatigue which caused horrendous crashes when a truck driver fell asleep at the wheel of a 20,000-lb. vehicle barreling down a busy highway. The federal regulations that govern CDLs require that drivers learn how to operate a commercial vehicle safely, the importance of getting enough rest and following the HOS regulations, how to use the truck’s safety equipment, the rules about alcohol and drug use, and the qualifications of commercial drivers. They must also learn how to inspect, repair and maintain certain parts of the vehicle, and keep inspection and maintenance logs. Prospective CDL holders also learn about transporting hazardous materials. Trucking companies are obligated to conduct mandatory periodic drug testing on CMV drivers to prevent accidents caused by alcohol or drug use by truck drivers. The BAC (blood alcohol concentration) limit for truck drivers is 0.04 or higher, which would be a violation of federal DUI regulations for CMV operators. Because the inspection and maintenance of commercial trucks can help prevent accidents that are caused by mechanical failures, truck drivers are required to document inspections and repairs in logs. These maintenance logs had been kept on paper in logbooks, but they are increasingly being kept on electronic devices. Finding the cause of truck accidents can be complicated. A thorough knowledge of federal trucking regulations can be helpful in making sure that the driver was in compliance with all of them. 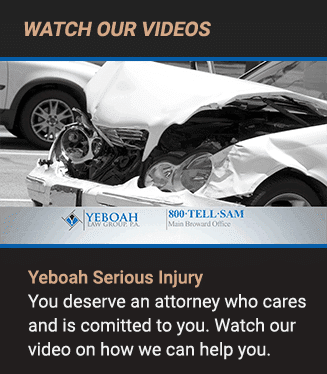 The knowledgeable truck accident attorneys at Yeboah Law Group conduct a thorough investigation of the crash to get to the root cause and determine liability. We are prepared to do whatever it takes within the law to make sure that our clients’ right to fair compensation is not overlooked. When you have survived a truck accident, but you are left with devastating injuries, working with an experienced Fort Lauderdale truck accident attorney can make you feel confident that your rights will be protected. Yeboah Law Group is here to guide you and your family through the challenges of filing a personal injury claim and recovering compensation. You are welcome to contact us for a free consultation where we will answer your questions about your truck accident injury claim. Call us today at 1-800-TELL-SAM or complete our contact form to schedule a no-cost consultation.